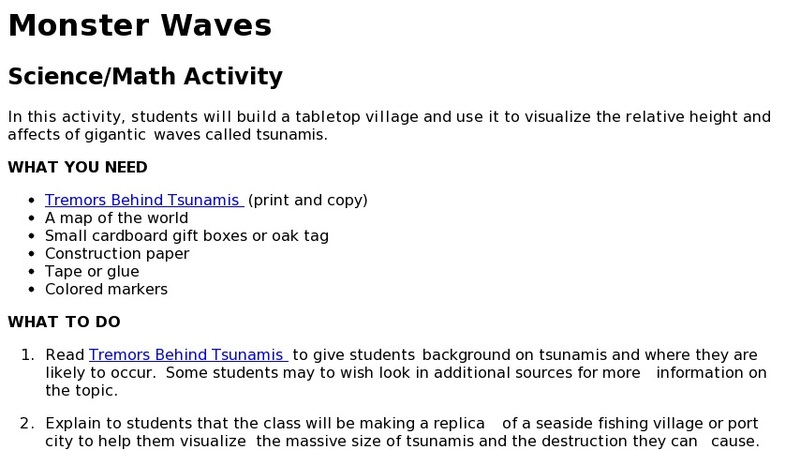 Students build a tabletop village and visualize the relative height and impacts of a tsunami. Students discuss: how high the tsunami wave would reach; effects it would have on structures and people; what could be done to prepare. Includes: brief definition of tsunami, causes and need for early warning; suggested writing and reading extensions. Appropriate for early elementary.